Published: Dec. 10, 2012 at 03:46 a.m.
(4:48) C.Henne pass short middle intended for M.Lewis INTERCEPTED by B.Scott [G.McIntyre] at NYJ 6. 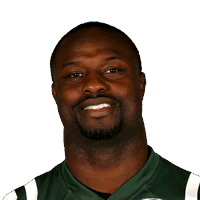 B.Scott to NYJ 17 for 11 yards (G.Whimper). Published: Dec. 9, 2012 at 01:25 p.m.
New York Jets linebacker picks off Jacksonville Jaguars quarterback Chad Henne when the Jaguars were in the red zone. Published: Nov. 19, 2012 at 03:30 a.m.
(5:24) S.Bradford sacked at NYJ 37 for -6 yards (M.Wilkerson). FUMBLES (M.Wilkerson), RECOVERED by NYJ-B.Scott at NYJ 34. B.Scott to SL 28 for 38 yards (M.Mulligan). St. Louis Rams quarterback Sam Bradford is stripped and fumbles and New York Jets linebacker Bart Scott recovers in the second quarter.